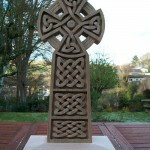 I have shown hand carved knotwork in exhibitions with The Royal Scottish Acadamy, The Royal Glasgow Institute for the Fine Arts and private galleries, with clients in Scotland, England and as far afield as Japan and USA. 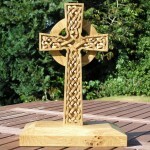 Knotworks are a strong link to Scottish history, and in that respect the Celtic crosses and knotworks that I have carved have been very satisfying work. 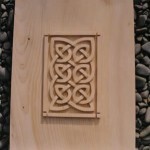 They have elements of traditional design, but also have a modern edge. 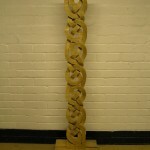 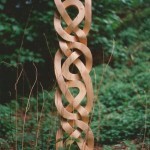 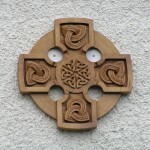 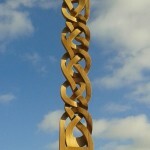 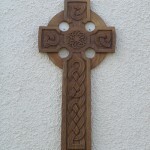 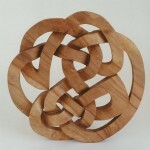 The larger crosses and knotwork carvings I have made are suitable for both indoor and outdoor display.